Henry Cavill News: Final Weeks On The U.N.C.L.E. Set: Is Solo Getting Some 'Suite' Action? Final Weeks On The U.N.C.L.E. Set: Is Solo Getting Some 'Suite' Action? 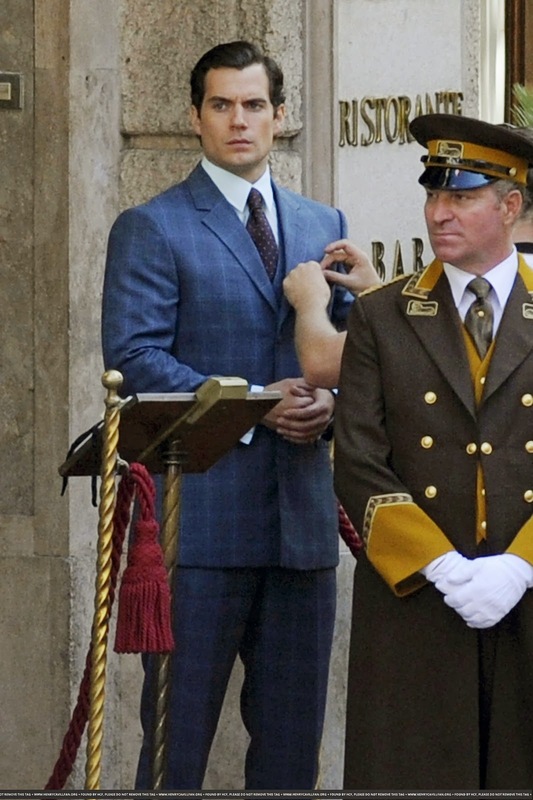 While it's fairly easy to follow filming on The Man from U.N.C.L.E. when it's on location (1/2), once the cast and crew are back in the studio we rarely get any updates. Enter the vendors! Espresso Espress are in the middle of the woods serving coffee to the crew of #manfromuncle. Paul Watts of Espresso Espress shared a look at the mobile unit that serves the cast and crew of U.N.C.L.E. adding a few more details about the shoot. Over the weekend Armie Hammer's wife Elizabeth (EChambers) posted these great pictures. While she didn't make any mention of them being from the U.N.C.L.E. 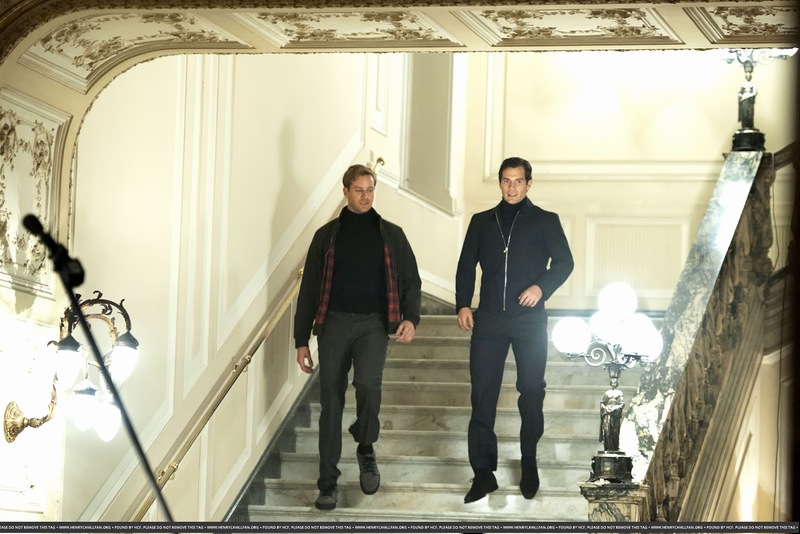 set, Armie's outfit screams Illya. Well done. What we do know, is that the film is just a few weeks away from wrapping. Henry did some underwater work in the studio last week and apparently more filming is taking place there this week. Possibly involving Solo. In a suite. The reason we say Henry may be part of the scene and not David Beckham like the vendor implies, is because Beckham reportedly already shot his cameo. Also, the vendor refers to the delivery as an "ART DECO" suite, which is very much in the style of what was shot in Rome. Man of Steel didn’t wow everyone, but no one seemed to have complaints with the rock-solid Cavill, who will reprise the iconic role in the much-anticipated Batman Vs. Superman in 2015. He’s always looked like a hero — starring as Theseus in 2011′s Immortals — and the heat from his Supe-debut helped him land the leading role in The Man From U.N.C.L.E., another potential franchise that George Clooney and Tom Cruise had flirted with. U.N.C.L.E. will be a crucial test to see if Cavill can be a true box-office superhero in movies without the cape — or if he’s destined to be just another handsome Clark Kent. If you've been following our set coverage, you know the film will no doubt be a hit, because it involves exceptional talent in front of and behind the cameras. But don't listen to us.. read what the expert has to say. Can't wait to see you on the big screen Solo! :-) I don't think Armie was at work for UNCLE in those photos.that outfit in England is typical for a fly fisher.I believe he was simply fishing! I think the bath is for a female character, not necessarily the main men.